March Madness won't be overtaken by April Anxiety... but what if it was? 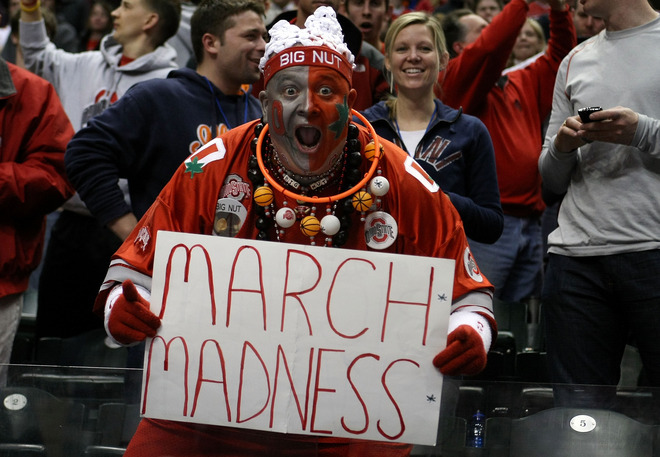 March Madness won’t be overtaken by April Anxiety… but what if it was? Yet, as football continues to capture the imagination of the American sporting public, the thought lingers: Why doesn’t college basketball move back the start date of its season so that its first weeks of high-profile non-conference games aren’t colliding with the final weeks of the college football regular season? Jon Wilner of the San Jose Mercury News did note that the idea of moving back the college basketball season is gaining internal support among decision makers, but this is a radical proposal, and therefore something which won’t happen quickly. What’s encouraging — if, of course, you like this idea (and you might not) — is that among the logistical obstacles mentioned in Wilner’s piece, one of the more central ones is not only manageable, but appealing. If the NCAA tournament was moved back a month, the NBA and NHL regular seasons would be over. Their respective playoffs would be underway, and teams in each league would rightly not want to make advance commitments. The natural solution Wilner pointed to is to put more games at campus sites. This would call forth an earlier era in NCAA tournament history. Rupp Arena — a large building soaked in history, the quintessentially perfect place for both a regional final and a Final Four — used to host a lot more regional finals. The big barn in the Bluegrass hosted regionals in 1977, 1980, 1984, 1989, 1992, and 1996, before its Sweet 16 and Elite Eight presence decreased and gave way to more opening-weekend NCAA tournament sessions, as in 2007 and 2013. Rupp’s last regional final came in 2002, when Indiana beat Kent State. An on-campus West Regional venue with a seating capacity similar to Rupp Arena (lower, but in the same ballpark) is the Marriott Center on the campus of Brigham Young University. The 19,000-seat building would keep the Sweet 16 away from football stadiums, but it would allow for more tickets to be sold than a 15- or 16,000-seat facility. The Marriott Center hosted four regional finals in an 11-season span, from 1972 through 1982. Patrick Ewing reached his first Final Four at Georgetown in that building; he defeated an Oregon State team which included A.C. Green in Provo, Utah, in 1982. The big problem — given that CBS and Turner cover the tournament — is that our friend Jim Nantz (Hello, Jim!) would cover The Masters on the second weekend of April. It has been my belief — shared by many — that Nantz needs to do more college basketball during the season, instead of parachuting in at the end, but perhaps this move would enable him to do just that. Nantz could call March college basketball (in the regular season under an adjusted calendar), go to Augusta for the full week, and then allow his CBS colleagues to handle the Heritage Classic (at Hilton Head) and other subsequent PGA Tour events while he calls the Big Ten semifinals and then the three weekends of the Big Dance. This is the heart of the matter, at least from my perspective: Having the big conference tournaments after The Masters would seem to be the right spot for an adjusted (moved back) college basketball season. However, there are some definite landmines involved. Let’s say you put the big conference tournaments on the first weekend following The Masters. In some years — not every year, but some — that schedule would put the Final Four on Kentucky Derby Saturday. Louisville and Big Blue fans would not like that at all, and that’s a major chunk of college basketball’s expected audience AND potential participant pool at the Final Four. Then consider the adjusted NFL draft schedule. On one hand, the draft starts on a Thursday, but if this discussion originated due to college basketball’s desire to escape the NFL, colliding with the draft — even if it’s the back rounds on Saturday — would not be ideal. These, not the availability of NBA or NHL arenas, stand out as the main problems with the schedule. The CBS-Masters relationship is what makes it hard to complete the NCAA tournament by the end of April, before May Saturdays introduce some very significant events while also taking us deeper into the NBA and NHL playoffs. A late-April conclusion to the NCAA tournament would be ideal, but there’s no way that The Masters should occupy the same weekend as tournament basketball. That weekend would have to coincide with regular-season basketball, at least for the power conferences. Maybe you would then counter with the idea that the regular season should continue through Kentucky Derby Saturday, so that all the fans in the Commonwealth of Kentucky could focus on horse racing before devoting the back end of May to hoops. Yet, that would put college basketball up against the heart of the NBA playoffs, the second and third rounds. Turner wouldn’t want to air regional finals at 1 and 3:30 Eastern on a Saturday so that it could then air NBA playoff games at 7 and 9:30… would it? Ultimately, keeping the NCAA tournament in March might be the best idea of all. Given how popular the event remains today, if it ain’t broke, the powers that be in college basketball shouldn’t try to fix it.